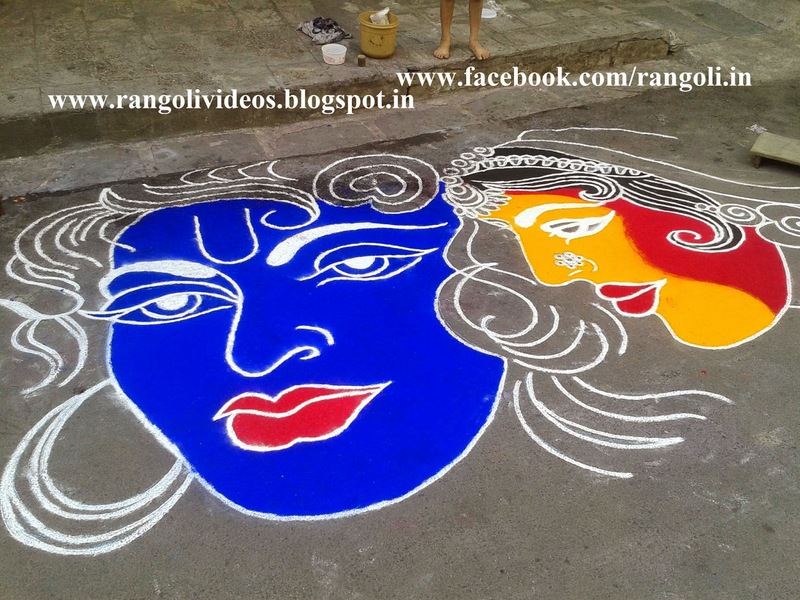 Radha Krishna are the symbolic characters from Hinduism of supreme male and female power and of love between them. 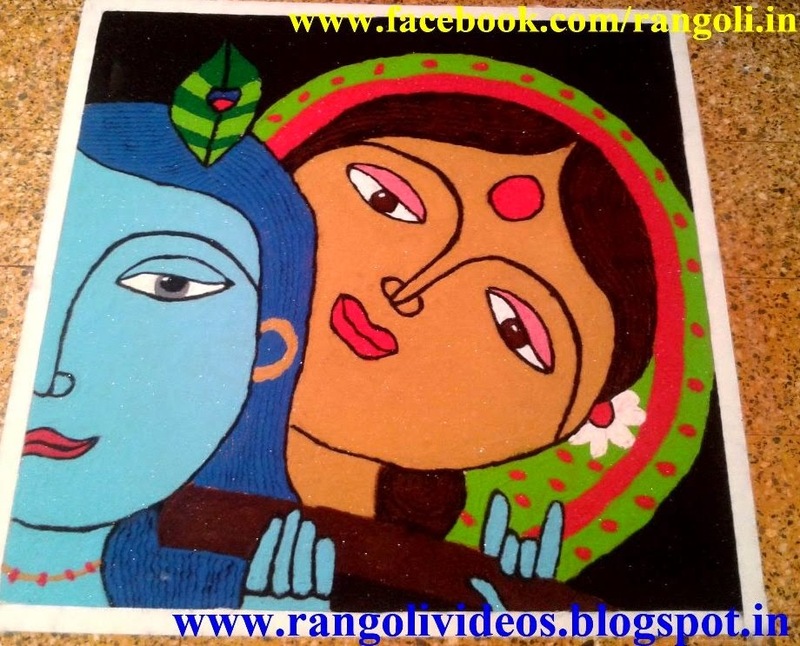 they both are extensively used as a graphic figure in many folk arts in India. Krishna have a very unique look like many other gods in Hinduism. Krishna is often portrayed with flute ( a music instrument ) in his hands and peacock feather on his head. Krishna caries flute as symbol of freedom and peacock feather is symbol of colors of life. 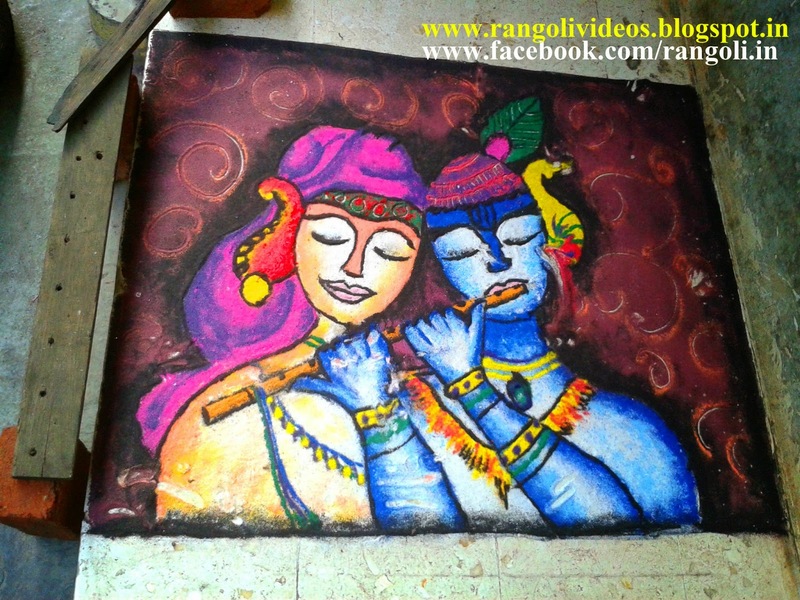 below are some images of rangoli on the theme of radha krishna.